Romantic rose gold and a touch of Hollywood glamour makes this fabulous statement crystal cocktail ring a must-own. Old Hollywood glamour with a chic modern touch, our Gatsby Romance Cocktail Ring is a rock that rocks! 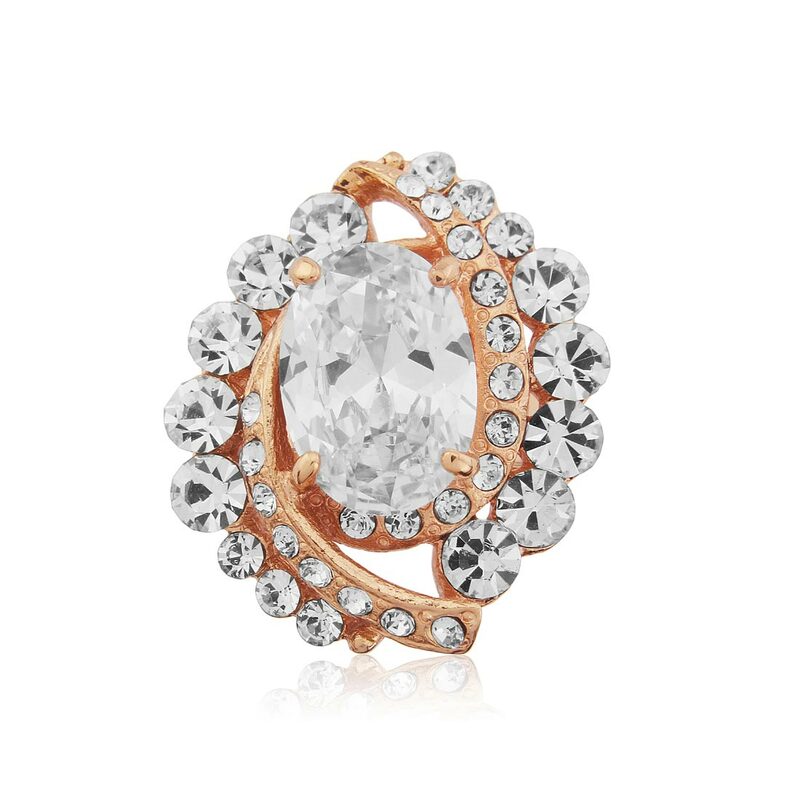 Adorned with a bold oval clear cubic zirconia surrounded by Austrian crystals set in rose gold tone, the metallic hue of the moment gives this classic sparkler a 21st century twist. So flattering to all skin tones, this piece will come out of your jewellery box for every special occasion. Add a hint of vintage style to a glamorous evening gown or a chic cocktail dress, or give a chic tailored suit a feminine touch. Go for a high fashion tone-on-tone look and wear Gatsby Romance Cocktail Ring with a metallic and shimmery cooper nail polish or, for a more classic style, let this sparkler take centre stage by opting for a timeless French manicure.